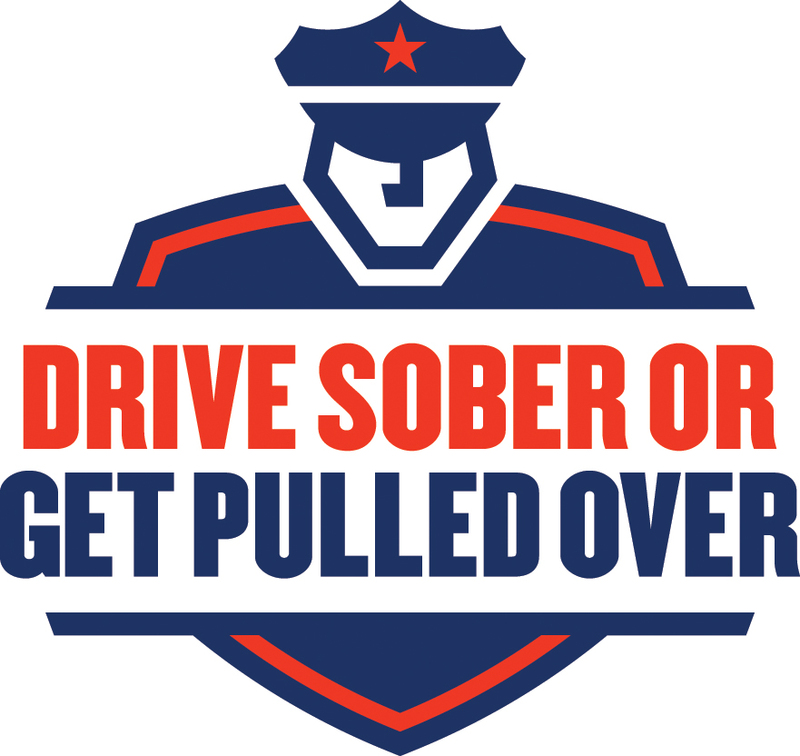 A new impaired driving logo and slogan warns of the consequences of impaired driving. On a chilly fall evening, I sat behind the wheel of my car in the parking lot of the college hangout. After an exchange reminiscent of a debate between three-year olds, I decided to pull my ace. Opening my jacket, I gave my friend a quick glimpse of my warm pajamas. “Get. In. The. Car.” I demanded, as I saw the roommate approach. The two poured themselves in the backseat in a fit of giggles. “I’d explain that I was on my way to pick up two friends who were too drunk to drive … but who are smart enough to call for a ride,” I said. “We love you!” they sang. It wasn’t the first time I was a “Plan B” driver and it certainly wasn’t the last. I’ve been the passenger, too. It’s part of a long-standing pact with friends and family – if you don’t have a completely sober driver or if the cold medicine you took at work makes you woozy, start dialing. We’ve all promised to come right away, whenever called. A safe way home is that important. If more people did that, some of the 217 people who died in Missouri last year because an impaired person decided to drive would still be here. None of us want anyone to go through the legal horror of a driving under the influence conviction. None of us want to be the cause of another family’s grief. This holiday season, law enforcement will be out in full force Dec. 5-12, cracking down on drivers who are impaired. For your celebrations, make a plan of your own that includes a designated driver, alternate transportation or a safe place to stay. I still get an earful about the pajamas all these years later. That kind of grief my friends are happy to inflict. Much has been accomplished, but a bold solution is needed for transportation funding for Missouri. Director Kevin Keith highlighted several major accomplishments to the Joint Committee on Transportation Oversight today, but emphasized that we're only spending about half of what we should on needed transportation projects, due to lack of funding. While receiving awards for the innovative Diverging Diamond Interchange in Springfield and with traffic fatalities at their lowest since 1949, there is much to be proud of. Projects also continue to be completed on time and under budget -- by more than 15 percent. And despite the limited projects we're able to do, 86 percent of roads are in condition. Unfortunately, our successes are limited by funding concerns. We're spending about half of what we should on transportation infrastructure. This means less projects, less improvements, and fewer jobs. Our goals moving forward are simple: We'll do our best with the resources we have. We'll keep the system in as good of a condition as we can for as long as we can. We'll work to keep travelers and employees safe and continue to provide excellent customer service. Take the right steps to stay safe when you're walking! Pedestrian fatalities have been increasing in Missouri. MoDOT is launching an effort to reduce these fatalities and encourage pedestrians to be safe, be seen and Arrive Alive. Whether you're out for a stroll or your car breaks down, you may find yourself near a busy road. Here are some important steps you can take to be safe. Be Safe. Be Seen. Arrive Alive. Use sidewalks. If you must walk in the street, walk single file, facing traffic and stay close to the edge of the road. Don’t assume drivers will stop for you. Unless you are in a crosswalk, the driver usually has the right of way. Lighten up at night. Wear white or light colors, reflective strips and carry a flashlight. We are so glad Missouri teen Heidi Turner took the few seconds to buckle up. 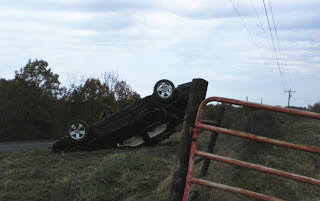 As her car slid on a rainy day and rolled two times, the seat belt kept her in place. When all other items in the car flew out the window, she didn't. Heidi now knows how to save a life, just by clicking a simple seat belt. Heidi landed upside down and was able to crawl out the window to safety, thanks to her seat belt. The seat belt made sure that the only passenger casualties were Heidi's purse and backpack. It was a strange morning for the officer who had to write this incident report. In the wee hours of October 29, MoDOT’s work zone protector and spokesbarrel extraordinaire, Barrel Bob, was abducted from his post on US 54 near the Lake of the Ozarks and forced to car surf atop a PT Cruiser. Luckily, the Osage Beach police were on the job. 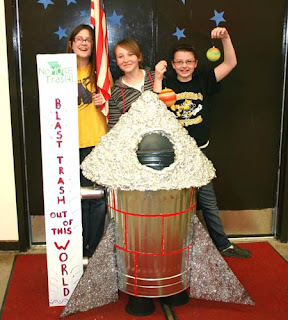 They liberated the 11-foot tall safety mascot from the back bedroom of a Lake area condo. 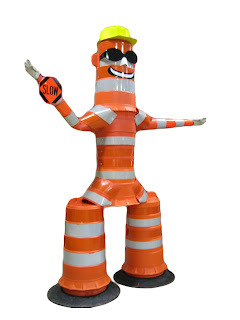 Bob had sustained damage to his head and the amputation of his lower legs, but skilled technicians in MoDOT’s Jefferson City shop performed the plastic surgery necessary to bring Bob back to his glory. Bob’s Facebook fans were shocked by the news, but began teasing him about being taken away by two female barrelnappers. 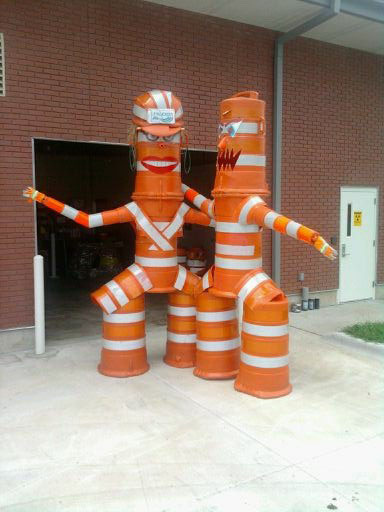 Bob, however, only has eyes for his female counterpart, Barrel Betty, who works for MoDOT in the Kansas City region. It wasn't Bob's first abduction. Last year, after several days missing from his job site, his dismembered body was found in a field in western Missouri. Those perpetrators were not identified, but those involved in the Osage Beach incident were identified and might face charges. When the healing process is complete, Bob will return to his work, alerting drivers to pay attention and drive carefully in work zones. 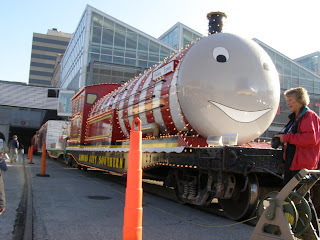 Follow his adventures on Facebook at www.facebook.com/MOBarrelBob. 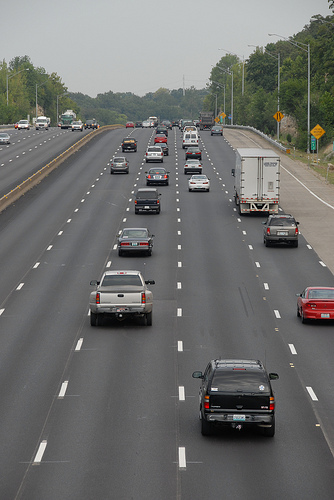 MoDOT's top news to you in 60 seconds! Bob's story is not a trick, but it's sure a treat for us to have him back! "Where does Barrel Bob go for repair? The plastic surgeon, of course! I had quite the weekend and have to take some sick leave from my post on US 54 near Lake of the Ozarks. Early Saturday morning, I was abducted and forced to carsurf atop a PT Cruiser. It was the second most terrifying experience of my life – and I stand in WORK ZONES, people! Luckily, the Osage Beach police were on the job and liberated me from the back bedroom of my abductor’s condo. Any photos that might find their way to the Interwebs were taken under duress and my strenuous objection…especially those taken from the left. Everyone knows that the right is my good side." Bob, we're so glad you're back! A new smartphone app, Show Me My Buzz, can help you arrive home safely after your Halloween parties this weekend. The app helps you calculate your estimated blood alcohol concentration, based on your gender and the amount of drinks consumed. Best of all, the app puts you in touch with a nearby cab company quickly and easily. Just make sure the cabby's zombie costume is actually a costume! Download the app for your iPhone or Android today, and you're on your way to a weekend of spooktacular fun! Use Your Head. Designate a Sober Driver. Trick or Treat! My children are ridiculously excited for Halloween and have been counting down the days for weeks. They can't wait to get the treats in store, and I'm ready to sneak a few of their peanut butter cups myself. For adults, Halloween fun can take a different turn. If ghoulish punch is on tap, avoid the unwelcome horror of a traffic crash. Plan a designated driver, and keep them well-stocked with fun-sized Skittles and root beer. For those Halloween heroes who drive sober, heads up -- slow down and pay special attention to the little goblins, princesses and Transformers running about. If they're as excited as my little ones are, their minds are solely focused on Snickers and Tootsie Rolls -- not watching out for traffic. With a little planning, Halloween can be full of treats for every age and celebration. 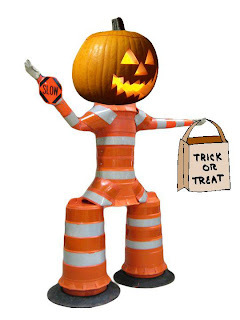 Beginning this week, St. Louis smog is running scared - not because of Halloween tricks, but due to some very hungry new concrete. On Monday , a new smog-eating concrete was poured in St. Louis. 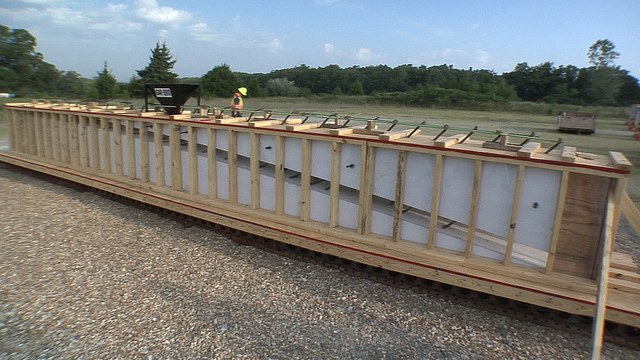 It's being tested on a 1500-foot stretch of the new Route 141. The concrete contains an additive that absorbs smog, uses sunlight to break it down and releases it as nitrogen and carbon dioxide. 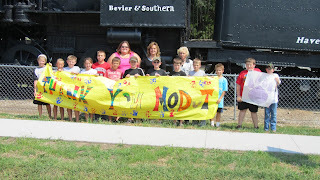 Find more pictures on the MoDOT St. Louis's facebook page. Follow the page to watch for more pictures and the results! Focusing on your driving rewards you in many ways. Besides avoiding a costly ticket, it's your ticket to arrive alive, safe and sound. Right now, you could also be rewarded with a new Ford Focus. 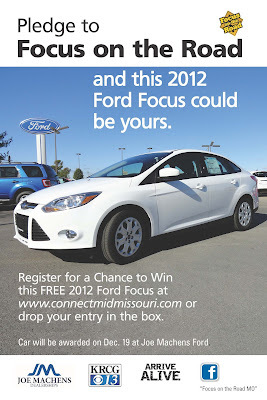 The Missouri Coalition for Roadway Safety has teamed up with KRCG-TV and Joe Machens Ford to sponsor "Focus on the Road" which includes a chance to win a new 2012 Ford Focus. To enter, visit the "Focus on the Road MO" fan page on Facebook before midnight on Dec. 14. The drawing is open to all licensed Missouri drivers. 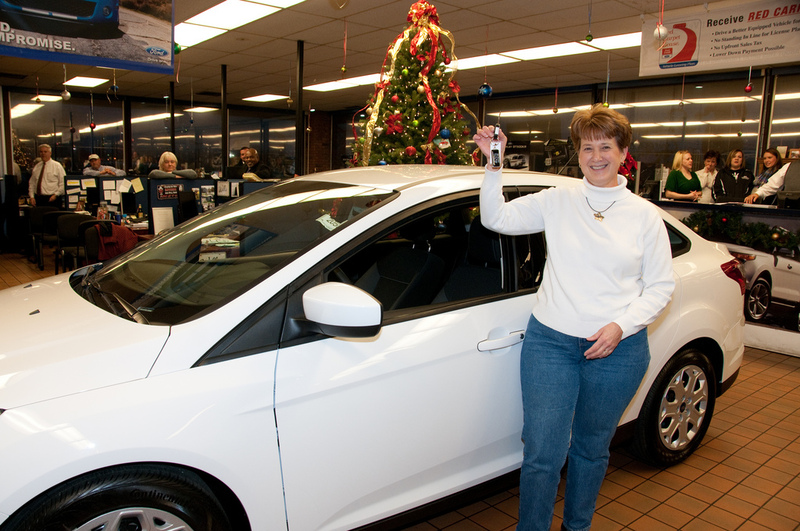 The winner will be announced Monday, Dec. 19 when 13 finalists will try their key in the new car to find the winner. No matter who wins the car, paying attention while you drive will help make sure you're around to have a safe and happy holiday season. MoDOT's Safe & Sound Bridge Improvement Program has entered the home stretch on its way to replacing or repairing more than 800 of the state's worst bridges. Last night, the 600th new bridge opened on Route H in DeKalb County. With 58 bridges still under construction, and about 20 more projects yet to start in 2011, by the end of the year just more than 120 bridges will remain to be built in 2012. So far this year, 226 new bridges have been constructed by MoDOT's design-build contractor, KTU Constructors, and 41 other bridges have been rehabilitated. KTU has reopened 226 new bridges in the last 216 days. You can help put the future of Missouri rail on the right track! 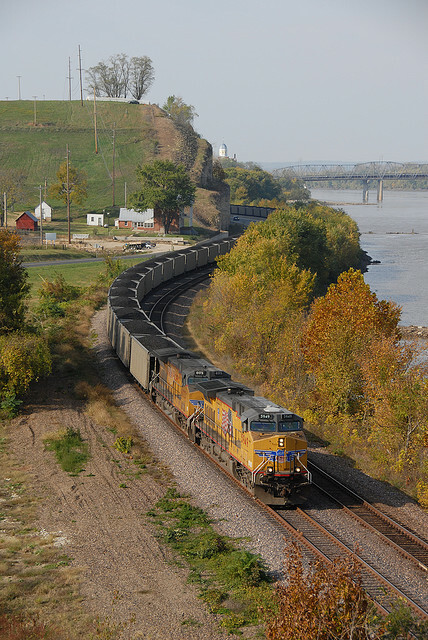 MoDOT has already begun hosting public meetings to get your input on the movement of goods and people in the state by rail. 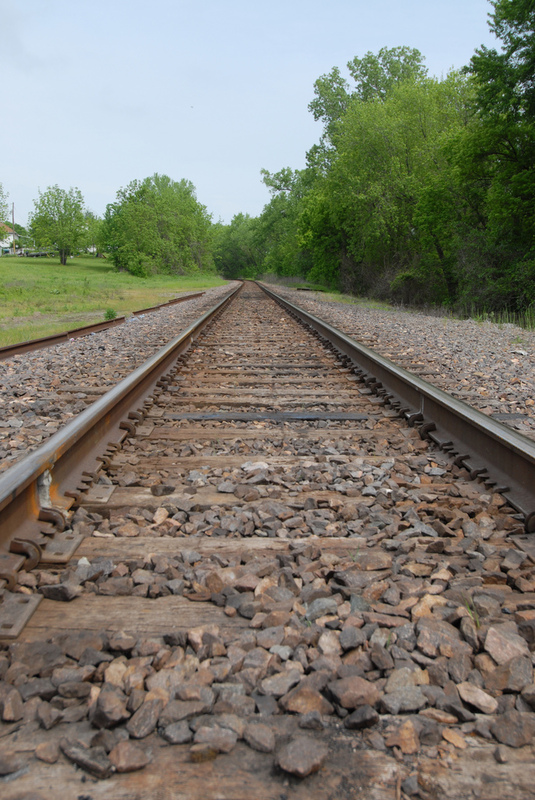 A recent meeting in the Northeast district brought great feedback that will be used to help develop MoDOT's Statewide Rail Plan. The Rail Plan guides the development of both freight and passenger rail service for the state for the next 20 years. 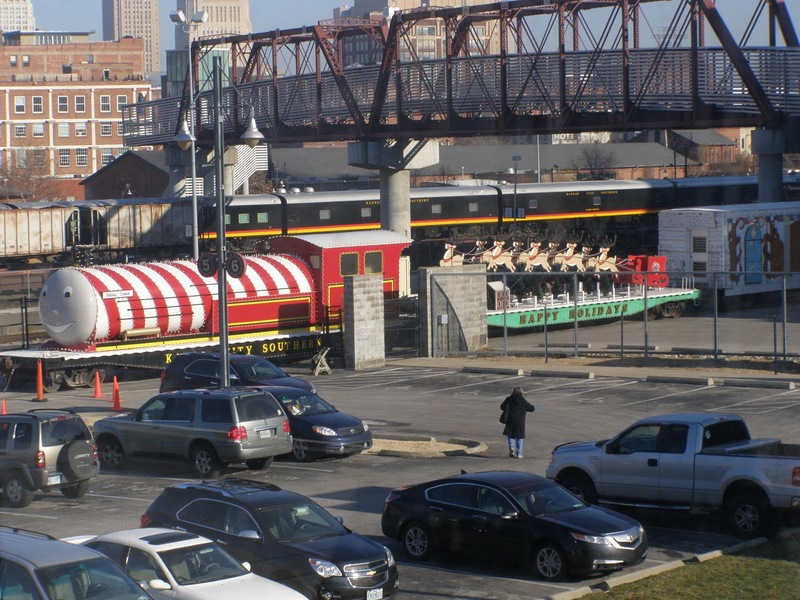 Don't miss your chance to help shape the future of Missouri rail service! The Central District meeting will be held from 5:30-7 p.m. on Tuesday, October 25, at East Elementary School, 1229 East McCarty Street in Jefferson City, Missouri. The St. Louis District meeting will be held from 5:30-7 p.m. on Wednesday, October 26, at the Kirkwood Amtrak Train Station at 110 West Argonne Drive in Kirkwood, Missouri. The Southeast District meeting will be held from 5:30-7 p.m. on Thursday, October 27, at Osage Community Center, 1625 North Kingshighway in Cape Girardeau, Missouri. The Northwest District meeting will be held from 5:30-7 p.m. on Tuesday, November 1, at MoDOT NW District Office at 3602 North Belt Hwy in St. Joseph, Missouri. The Kansas City District meeting will be held from 5:30-7 p.m. on Wednesday, November 2, at Sermon Center North Room at 201 N. Dodgion Avenue in Independence, Missouri. The Southwest District meeting will be held from 5:30-7 p.m. on Thursday, November 3, at the Springfield Area Chamber of Commerce at 202 S. John Q. Hammons Parkway in Springfield, Missouri. If these are not in your area, you can still be a part! MoDOT is hosting an online public meeting from Oct. 18-Nov. 18 at www.morail.org. At the online meeting, you have the opportunity to ask questions and provide comments. This week is National Teen Driver Safety Week. Teen driving is a top concern for safety officials, especially when you consider that traffic crashes remain the number one cause of death for this age group. Reaching teens with messages about buckling up, putting down the cell phone and focusing while friends are in the car are certainly important. But there's one other source that can really make a difference with teen driving: you. If you're a parent, you will face (if you haven't already) that moment when your child asks why you took your hands off the wheel, or why you made some choice comments to the driver ahead of you. Teens and children are watching. An article this week in USA Today this week points out that many parents admit to being distracted by phones or devices, even while they're teaching their children to drive. During Teen Driver Safety Week, it's a good idea for us all to think about how we can encourage safe driving for teens. It's an even better idea to model it for them each day. Remember the game Red Rover? You know, when two teams would form on the playground and one team would call out, “Red Rover, Red Rover, send Wanda on over!” and Wanda would take off running, trying to choose a point where she thought she could break through the line of hand-holding opponents. If you wanted your team to win, you never tried to run between Greg and Eric. It’s not that they were mean. It was because even by third-grade standards, those guys were big. There’s no way you’d take them on if you wanted to avoid a bruise. I think of Greg and Eric when I drive my car near a commercial truck. Like them, truck drivers are mostly gentle giants. Still, I will always choose to respect that size and adapt my driving strategy so I’m more visible to the driver and less likely to cause them any concern. That’s the point of Operation Safe Driver Week – October 16-22 – drivers of big trucks and passenger vehicles respecting each other, paying attention and avoiding unsafe behavior that could result in a crash. And Eric, if you are still driving that gas tanker, just put on the blinker and come on over. Just like back then, I’m not going to try and stop you! River Runner Ridership is on the Rise - say it five times fast! More and more customers are choosing to use Amtrak's Missouri River Runner for their travels. Service is up 8.5 percent in September compared to September 2010, and their on-time performance rate is at 90 percent. 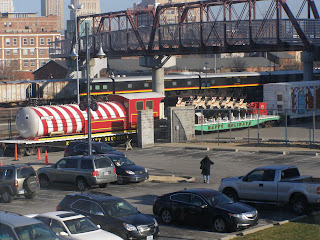 Amtrak chose St. Louis to celebrate another milestone. Yesterday, they honored a St. Louis customer with a 30-day pass on Amtrak's service to celebrate the 30 million passengers that have chosen Amtrak in FY2011. 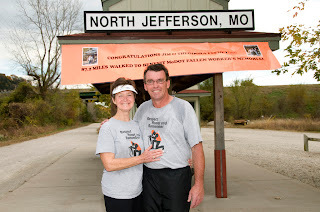 So, have you chosen the Missouri River Runner lately? Tell us about your trip! You can now go behind the scenes via YouTube or an online streaming video feed and watch as crews work to fill the “Beast,” a large scour hole on U.S. Highway 136 in Atchison County. At 480 feet long and 65 feet deep, the Beast is longer than the Statue of Liberty at 305 feet tall, longer than a football field at 360 feet, but not quite as big as the St. Louis Arch which is 630 feet tall. This is the second project to restore access on U.S. Highway 136. 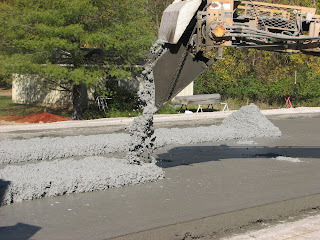 It includes filling the last and largest of four gaps in the pavement. The three other gaps were filled during a previous project. 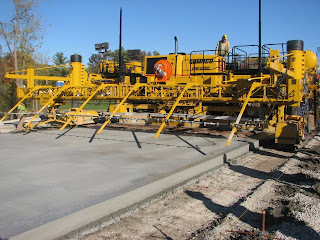 All four areas will receive temporary pavement to make the surface drivable this winter. The target completion for this project is Nov. 28, with permanent paving installed next spring. The Northwest Missouri Flooding Information page, www.modot.org/northwest/flooding.htm, provides weekly flooding updates for Northwest Missouri, the latest news releases, links for detours and the MoDOT traveler information map, as well as photos and videos. 104 miles. That is the distance a MoDOT employee and his wife will walk on the Katy Trail from St. Charles to Jefferson City for five days. They are making this journey to raise money towards the construction of a Fallen Workers Memorial in Jefferson City. MoDOT Weldon Spring Maintenance Crew Leader Jim Feeney, and his wife, Theo, left this morning from St. Charles. The walk will end on Tuesday, Oct. 11, in Jefferson City. The memorial will honor MoDOT employees who have been killed in the line of duty. It will be totally funded by private donations. Anyone wishing to make a contribution to the memorial fund can make a check payable to State Highway & Transportation Employees Association of Missouri and mail it to: Fallen Workers Memorial, Attn: Dave B. Taylor, 3929 East 7th St., Joplin, Mo., 64801. 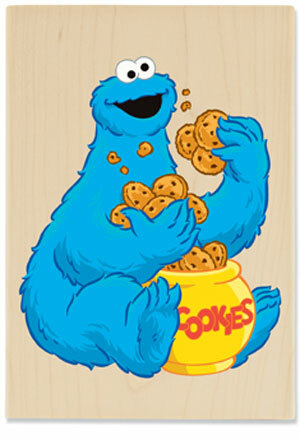 Nom, nom, nom ... this concrete doesn't care much for cookies, but can't resist a nice batch of smog. 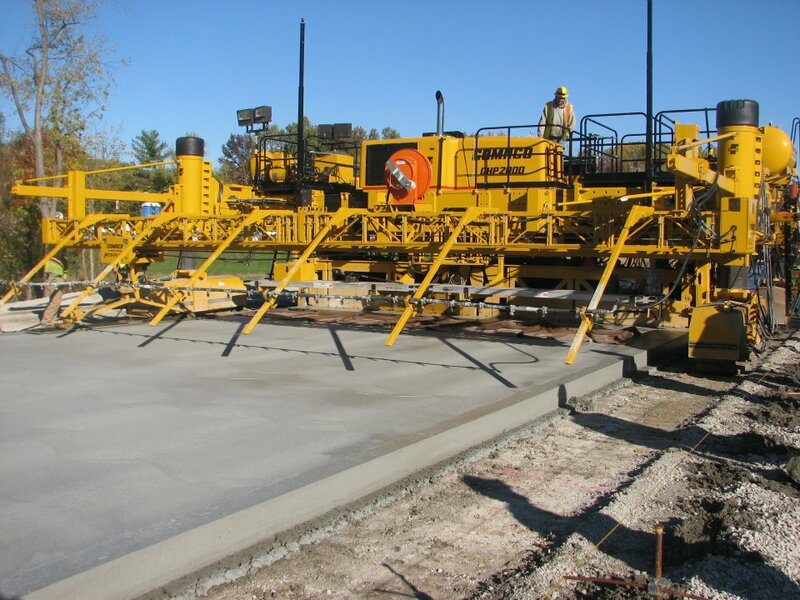 MoDOT and contractor Fred Weber Inc., will test a new type of concrete on a section of Route 141 in St. Louis this month. A new additive which breaks down smog will be added to the stretch. The additive absorbs smog, uses sunlight to break it down and releases it as nitrogen and carbon dioxide. 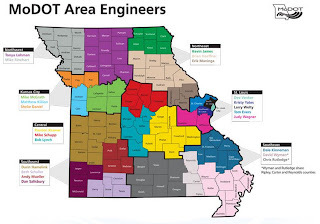 MoDOT’s plan to reduce staffing, facilities and equipment has resulted in $177 million being redirected to critical road and bridge projects in Missouri. As of Sept. 30, the department had eliminated 667 staff positions, closed 23 facilities and disposed of 245 pieces of equipment under its Bolder Five-Year Direction. Those moves have allowed the department to save $177 million. 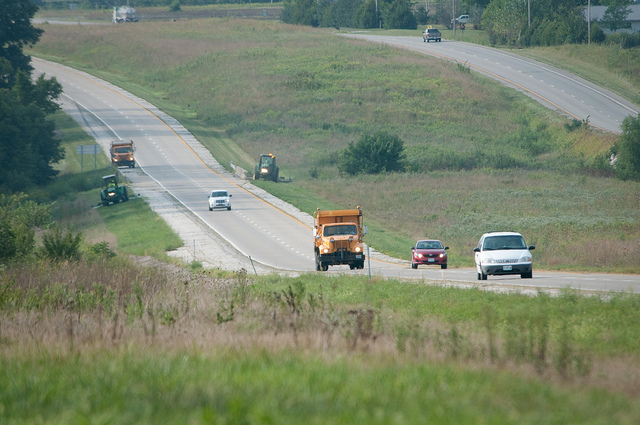 More than $64 million of that money has been used to improve the state’s rural roads. Today is International Walk to School Day. It's a great opportunity to reflect how you can incorporate more exercise into the day for your family, as well as how you can reduce congestion around schools and help your community's environment. If you missed walking or bicycling this morning, don't give up! October is Walk to School Month, so there's still plenty of time to celebrate. Need an extra incentive besides the gorgeous fall weather? The Missouri Bicycle and Pedestrian Federation has included a Walk/Bike to School Savings Calculator on their blog to help you determine the money your choices can save. 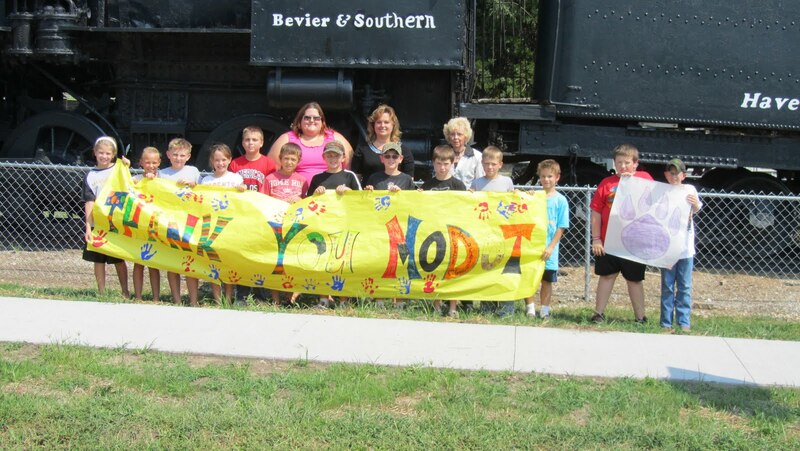 To join others in the fun, visit www.walktoschool.org to find an event specific to your community. So what are you waiting for? Hit the road (or sidewalk). 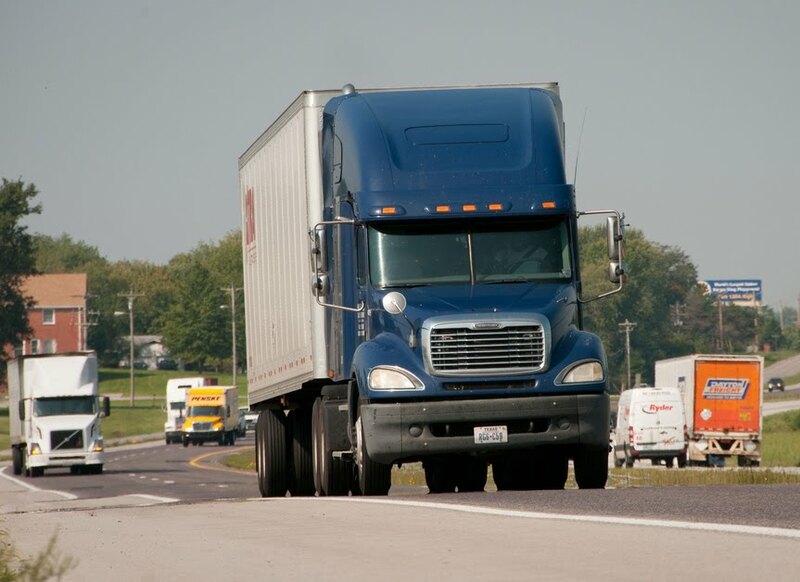 Should truck drivers have shorter hours and on-time duty? FMCSA says yes, and Washington says no. What's your take? Visit www.roadsbridges.com to weigh in. 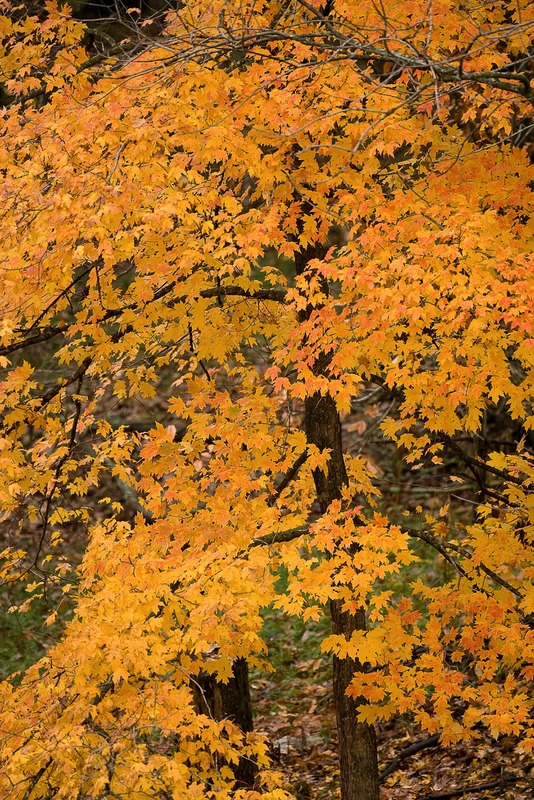 As the weather cools, it looks like Missourians are in for some beautiful fall drives. The Missouri Department of Conservation has put out a report on the color you can expect to see in your area. Those of you in the Ozark area are in for a special treat this season. So where will you head? 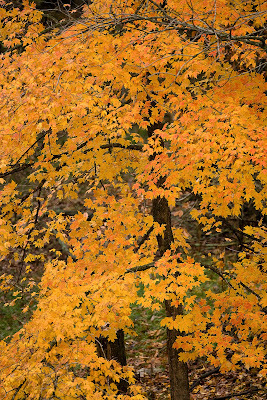 What are your favorite fall drives in Missouri? 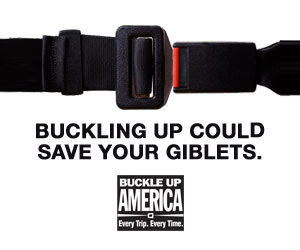 No matter where you travel, be sure to stay alert, buckle up and Arrive Alive. They are tiny, tireless, hungry, and environmentally friendly – except to one invasive weed. They’re called seedhead weevils, and the Missouri departments of Transportation and Conservation, along with the University of Missouri – Extension, are using them to help control Missouri's newest noxious weed – spotted knapweed. The weevils, Larinus minutus and Larinus obtusus or "Larrys" as some researchers like to call them, are small, flying, dark brown or gray bugs with a long snout. They can spread throughout a knapweed patch in a few years. "Knapweed infestations occur in poor soils along rock cuts and steep slopes, and the weed produces an herbicide within its roots that kills nearby plants," explained MoDOT Roadside Manager Chris Shulse. This noxious weed resembles the garden flower called bachelor’s buttons. Although pretty, if knapweed is not controlled, it can spread onto private lawns and pastures, where it significantly reduces the available forage. Knapweed is hard to eliminate with herbicides alone because it grows in difficult to reach areas, often extending beyond the roadside onto private property. 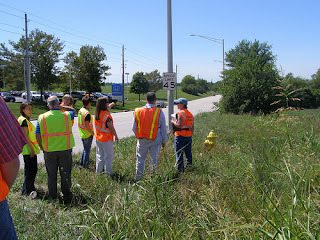 MoDOT began to release the weevils on roadsides in southern Missouri in 2008 and in northeast Missouri in 2009. They are typically released in July when knapweed is in bloom so the females can lay eggs on the flowers. When the eggs hatch, the larvae go to work, eating the flower and seeds, reducing the plant’s ability to reproduce. A single larva can eat every seed in a flower. A second knapweed-controlling weevil, the root-boring Cyphocleonus achates, or “Cy” is larger and doesn’t fly well. Its color helps it blend into rocky ground. These insects are released in August, when females lay eggs on young knapweed plants. The larvae burrow into the roots, causing the plant to die within a few years. Researchers documented reductions as high as 99 percent in knapweed patches where “Cy” took up residence. 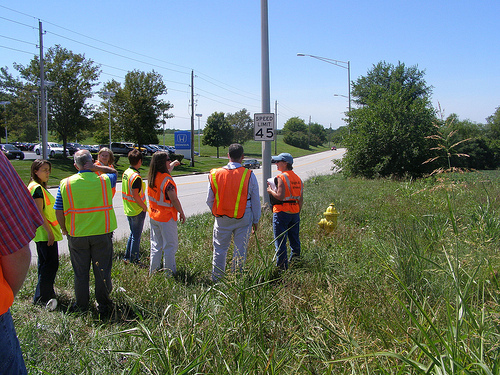 In addition to the 2009 release, MoDOT introduced the hungry bugs to infested areas last month. “Although it will take a few years for the weevil populations to increase enough to make a difference, our tiny partners will no doubt play an important role in suppressing knapweed,” Shulse said. These three things are used successfully by the Missouri Coalition for Roadway Safety to keep traffic fatality levels at a level not seen since 1950. Today, the Governor's Highway Safety Association recognized MoDOT as a leader in that success. MoDOT received the Peter K. O'Rourke Special Achievement Award for spearheading the safety coalition that has realized a decrease in traffic fatalities and disabling injuries for the past five years. Traffic fatalities in Missouri have decreased by 35 percent since 2005 and the trend continues downward. To date in 2011, traffic fatalities are down by 11 percent. For more information on how MoDOT has worked to improve highway safety in Missouri, visit www.savemolives.com. It's National Car Seat Check Saturday! Check www.savemolives.com today for a list of where you can have your car seat checked by a certified technician. Three out of four seats are not installed correctly -- make sure the seat carrying your most precious cargo is not one of them. The Flood of 2011 has been like nothing any other Missouri River states have ever experienced. 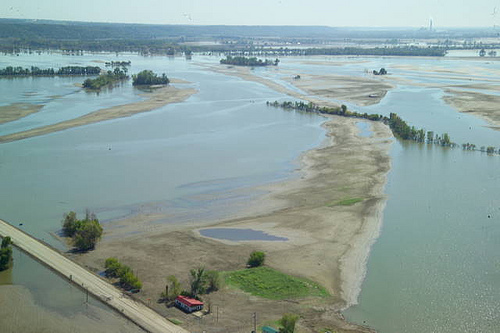 Unlike other historic floods which rose and fell within weeks, this time the water flowed continuously over -- and in many cases under -- the Northwest and Kansas City Area Districts' highways for months. Entire sections of shoulder, pavement and foundation washed away in some areas. Now, we're working to get flooded routes open as quickly and safely as possible by the end of 2011. One of the first big steps began Wednesday with the start of emergency contract repairs in Atchison County on Route 136. This is the first of a two-phase project that will be necessary to restore access completely across Route 136 where four large gaps exist. Three of the gaps should be fixed by October 15. The fourth gap is a 600-foot scour hole, but damages cannot be assessed until waters recede. "We are committed to doing everything possible to get these roads opened as quickly and safely as possible for Missourians," said Don Wichern, MoDOT's Northwest District engineer. "In some areas we are still waiting for waters to recede, but we are spending every available minute planning how to repair and reopen these roads so we can all move forward." Would you let your child ride on the top of your car? Not likely. And yet so many parents allow children to ride inside a car without being safely buckled -- and many of them may not even know it. Three out of four car seats are installed incorrectly. How confident are you about yours? This week is National Child Passenger Safety Week. It's a perfect time to take a moment and get your seat checked. Find a technician near you in Missouri. Or, visit one of the events held this Saturday for Car Seat Check Saturday. Taking a few moments to make sure your seat is installed correctly could be life-saving for your most precious cargo. Hey high school students! 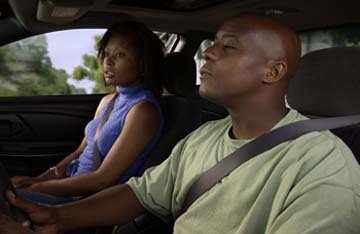 Check out this video working to convince teens to buckle up. It won last year's Battle of the Belt Challenge. Think you can do better? Show us! Sign up today for the Battle of the Belt Challenge for this fall and put your cinematic skills to work. Who knows? There's more than prizes at stake -- if your video convinces a friend to buckle up, you may save a life. Make it click by clicking here! Look around. Really. Turn away from the screen for a minute and look around the room. Chances are, the vast majority of items you see were hauled by truck at some point. Flooring, concrete, mail, paint, furniture, light bulbs, clothing, chairs, pens and snacks – it sat behind a truck driver. 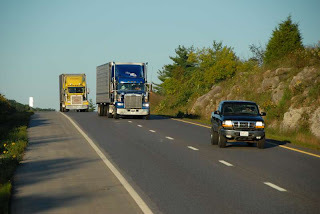 Truckers drive 400 billion miles a year in the United States. Most of the time, you never notice them. That’s actually the goal. If you don’t notice them, it’s because the driver is operating safely and courteously. If you are lucky enough to know a professional driver, ask them about the challenges and joys of the job. There are plenty of both. And no one spins a story quite like a truck driver. 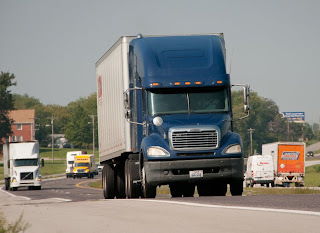 So if you have the chance this week, wave or smile to thank the truck drivers you see. Everyone likes acknowledgement for good work. Springfield, Mo., is one of the safest cities in the nation for drivers. The Allstate Insurance Company released their 7th annual Allstate America's Best Drivers Report. It ranks the nation's 200 largest cities in terms of car collision frequency to identify which cities have the safest drivers. Springfield ranks seventh, with the average driver going 12 years without collisions. Springfield has completed several major projects that help keep traffic moving smoothly. 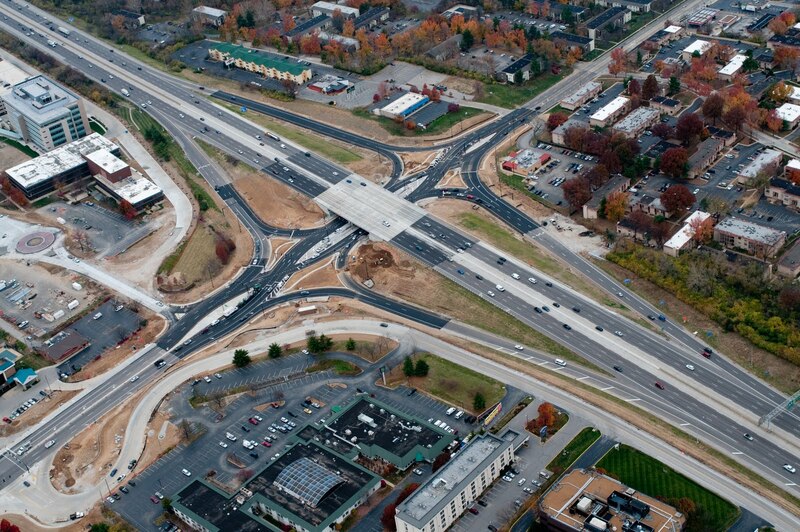 The nation's first diverging diamond interchange opened in 2009, with a second opening in July 2010. The award-winning, innovative design helps relieve congestion in a tight area, keeping drivers safer. 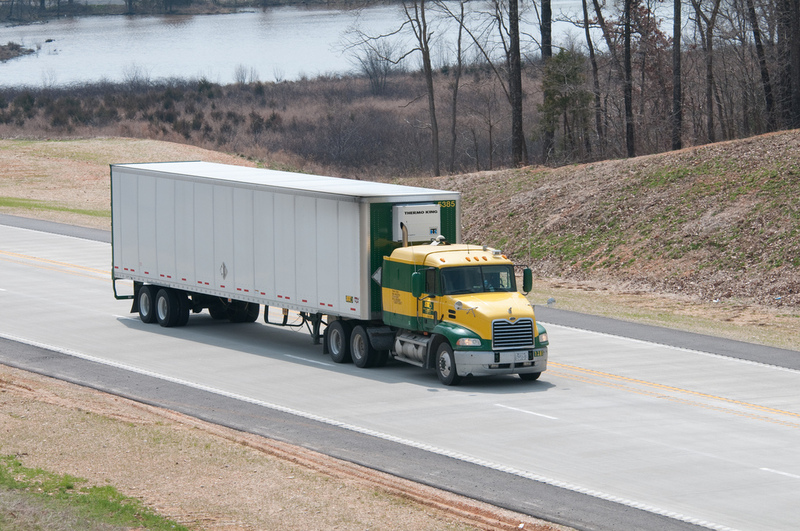 This week, Springfield opened the first six-lane highway in southern Missouri on Route 65. The project added a lane in each direction in the median, with a 7-foot-wide median shoulder and a concrete barrier separating the northbound and southbound sides. These improvements will keep traffic moving and motorists even safer. Based on your travels in the state, which city would you say had the best or worst drivers? A recent survey of Missouri motorists shows that more Missourians are buckling up - that's great news! But are we where we need to be? The national average for seat belt use is 85 percent -- even with the recent three-percent jump in Missouri, we're still at 79 percent. How comfortable are we to know that 21 percent of motorists in our state face ejection from their vehicle if a traffic crash occurs? Some vehicle types stand out when looking at seat belt use. 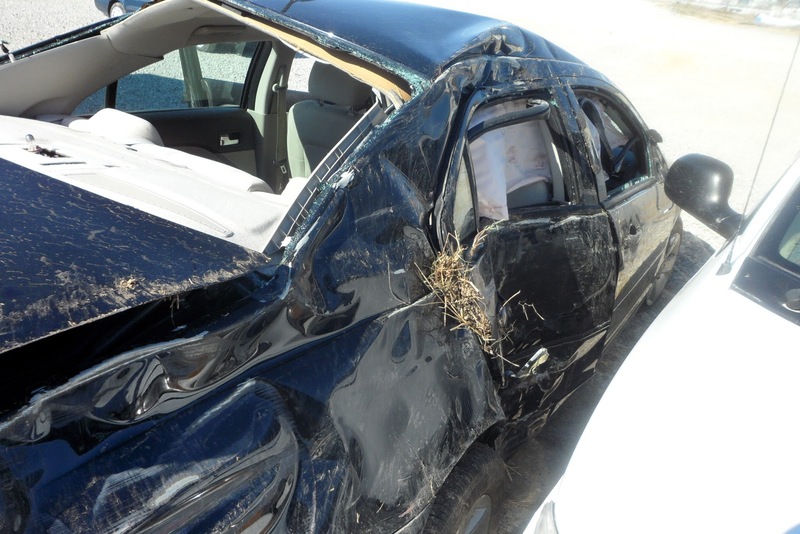 For example, pickup truck drivers are among the worst with only 66 percent buckling up. Considering those rockin' trucks also have an affinity to roll, that makes quite a bumpy ride (or flight) for that unrestrained driver. MoDOT continues to support the Missouri Coalition for Roadway Safety to support seat belt use and work to make sure everyone makes it click when they hit the road. A primary seat belt law would likely raise our percentage and save lives - 32 states already have this. In the meantime, make sure you and your passengers are buckled every trip, every time. Learn more about seat belt safety in Missouri at www.savemolives.com. 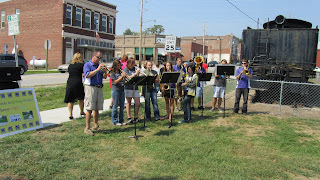 On Friday, children, families and teachers in Bevier celebrated a safer walk to school. 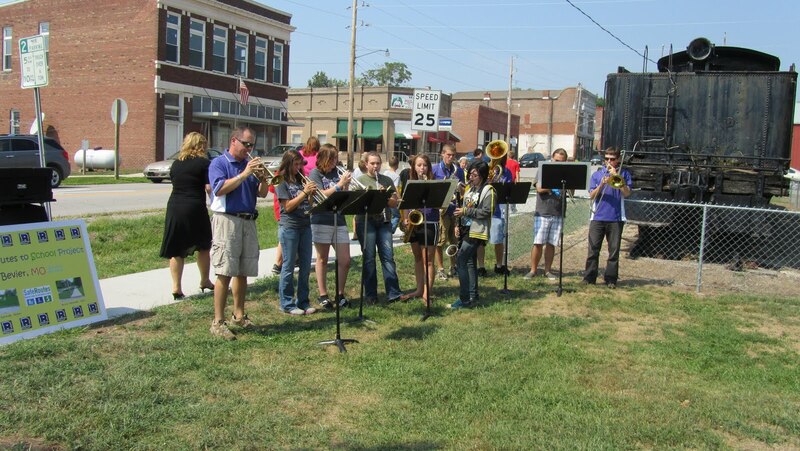 Through the Safe Routes to School program, the City of Bevier was able to construct needed sidewalks to keep students from walking in the street to get to school. This is a tremendous improvement in safety for these students. The purpose of the Safe Routes to School program is to enable and encourage more children to walk and bike to school across Missouri. Why is this important? Besides reduced traffic around schools and a healthier lifestyle for the children, the students list one more important reason: it's fun! Learn more about how Safe Routes to School can get your community moving! Walking to school can be fun for both students and families! Bevier now has a safer, more appealing way to get to school. In August, 2011 MoDOT in Kansas City hosted the Livable Streets Design Workshop led by nationally known expert Bruce Landis. On Aug. 25, architects, engineers and planners from MoDOT and communities across the Kansas City District sat down as one transportation group to talk about what it means to build Livable Streets at the Best Practices in Bicycle Pedestrian Design workshop. Across the country, more communities recognize that drivers are not the only type of transportation, and in fact, more citizens request the safe sidewalks, bike routes and transit options that fit their lifestyle. In May, the Missouri House of Representatives passed the Complete Streets Resolution, urging cities, communities and state transportation to consider bikers, pedestrians and transit users whenever they planned transportation projects. The Best Practices in Bicycle Pedestrian Design workshop, hosted in partnership with MU Extension, focused on just that -- making streets that accommodate any mode of transportation. The all-day workshop featured internationally known Bicycle and Pedestrian Planner and Engineer Bruce Landis. His presentation included strategies to make neighborhoods, retail districts and other community settings more walkable, bikable and accessible to all. “This program was designed to let planners look at a street objectively and see, based on what is going on in the roadway environment, exactly how to design a livable street,” said Landis. One of the things discussed was what makes a street more livable? It could be as simple as sidewalks and crosswalks. But planners also consider wheelchair ramps, bicycle paths, mixed-use paths that may host joggers and dog walkers alike, bus stops, or even paved shoulders in a rural area. Several locations joined the workshop via webinar, including Jefferson City, St. Louis District Office, Northeast District, Southeast District Office, Northwest District Office, Southwest District Office and Macon. Find flooding detour information at www.modot.org/flooding. 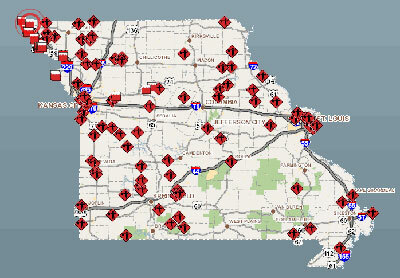 Flooding and detours continue in Northwest Missouri. Eleven weeks after Interstate 29 first closed, it still remains closed at Rock Port. The four states affected by long-term flooding continue to work together to route travelers around the high water. Missouri has partnered with Kansas, Iowa and Nebraska to create a regional detour that can be found on MoDOT's website at www.modot.org/flooding. It also provides information on the latest road closures with a link to the Traveler Information Map. It will take time to get these roads back in shape, but MoDOT monitors the roads as water recedes to assess damage and begin repairs. If these routes are part of your holiday weekend travels, be sure to check the detours before you go. And play it safe! Drive sober, buckle up and slow down. How much are this year's natural disasters costing Missouri? Find out in this week's MoDOT Minute - your transportation news in 60 seconds! We found out about an app this week that may help combat texting while driving. The LYF app rewards you for making the decision to stay safe and focus on your driving. LYF stands for Love Your Family. The application tracks the use of your phone when your vehicle is moving more than 15 miles per hour. If the phone is in idle status during that time, the owner receive points. Find out more at www.goodforlyf.com. In the meantime, stay alert and focused when you're behind the wheel! Mother Nature has pummeled Missouri with four unprecedented weather events this year! Listen as Assistant Chief Engineer Don Hillis gets "To the Point" about the monetary damages to Missouri's transportation system caused by this spring and summer's flooding and the Joplin tornado. Learn how these disasters will impact our construction program. Gotta Get a Gator Getter! You've seen it before: The slow moving truck with a large flashing arrow pushing you into the next lane. The laborious progression as crews hop from the truck to retrieve the random tire tread, couch cushions, laundry basket, branches or the hapless deer who crossed too soon. It's the debris removal crew snaking through the city, keeping MoDOT routes safe. Now we're testing a new tool that could make that process faster and safer. 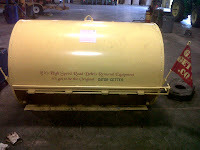 Custom built to fit MoDOT's larger truck, this innovative machine scoops up trash while the vehicle travels with traffic at a comfortable 45 to 50 mph. 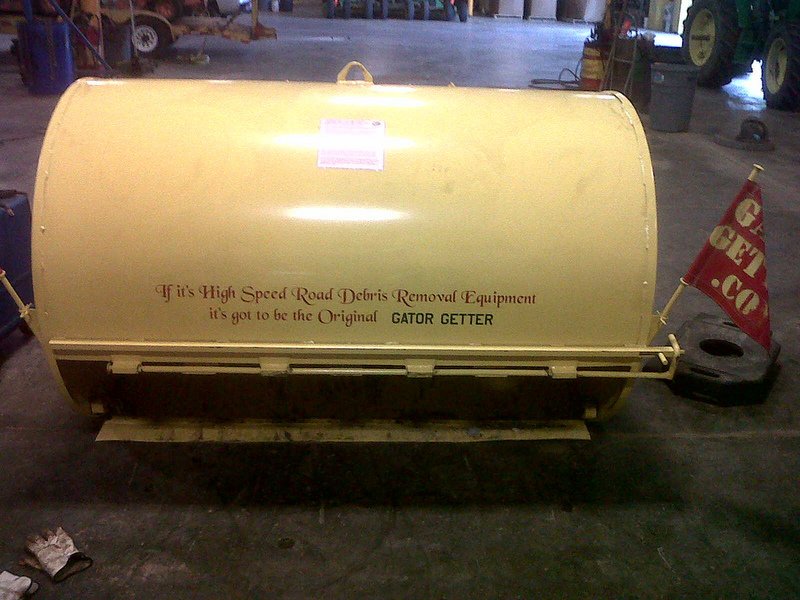 There are only four in existence, and this is the only one in the U.S.
Because the Gator Getter operates in the midst of traffic, MoDOT no longer has to provide traffic control or close a lane while removing debris from the highway. That means fewer delays for motorists and safer conditions for workers. If only I could get a smaller version for my living room! During the testing phase, MoDOT crews are offering feedback to the company to make the product stronger and more versatile to handle the array of trash types and sizes. The next version will likely have a different style of blade and heavier body. MoDOT crews pick up debris year-round, which can range from general car trash to pieces of furniture. One of the most common items - tires and tread - is actually separated and turned over to Missouri Vocational Enterprises so it can be shredded and reused as tire-derived fuel for power plants. Find more details about this innovation below and watch the Gator Getter in action! Wondering if you can handle your drive home after a drink with some friends? There's an app for that. The Show Me My Buzz app is available for download and lets you calculate your blood alchohol level before you decide to get behind the wheel. It's available now in the Android market and will be available through the iPhone app store soon. “Show Me My Buzz” allows users to calculate their BAC based on how may drinks they have consumed, how long they have been drinking and their gender. It will even provide the phone number of a local cab company with just a tap of the screen. The BAC calculator is only a guide that estimates averages. Alcohol affects everyone differently. Influencing factors include food consumption, medication, health and psychological conditions. The best plan is to always designate a sober driver. A sober driver is someone who has not had anything to drink. 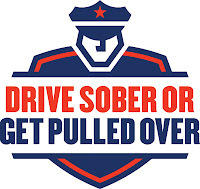 In 2010, 207 people were killed and 831 seriously injured in crashes involving a drunk driver. Download today and let us know your thoughts! Disclaimer: This blood alcohol concentration (BAC) calculator is only an estimate and is not sufficiently accurate to be considered legal evidence. The calculations are averages. Individuals may vary in their personal alcohol tolerance. Food in the stomach, medications, health and psychological conditions are influencing factors. Many establishments that serve alcohol serve portions larger than the standard drink size. Grab the latest Missouri transportation news, in 60 seconds! If it works for boats, why not for bridges? As part of its Safe & Sound Bridge Improvement Program, MoDOT received a $1 million federal "Highways for Life" grant to utilize hybrid composite beams on three bridge projects -- in Douglas, Shannon and Dade Counties. These innovative structural elements are much lighter than conventional steel or concrete beams, which make them easier to transport and install. The exterior of HCBs is fiberglass, materials also used to construct boats and sulfuric acid storage tanks. The fiberglass makes them more resistant to water and chlorides, and therefore longer lasting. Check out some photos and the video below that explains this technology. Happy Sailing!